An application to build 150 new homes on Green Belt land next to a much-loved reservoir has been refused. 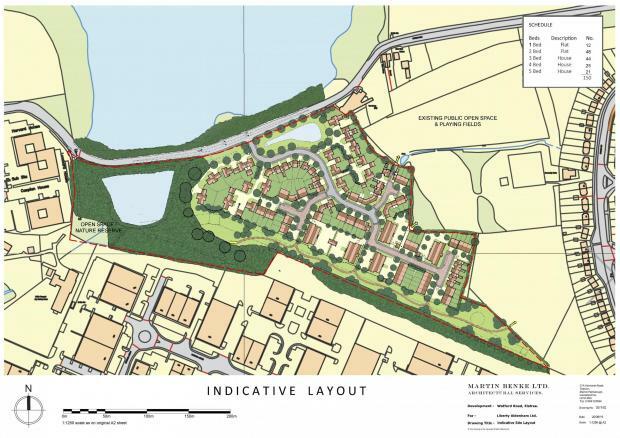 Developer Liberty Aldenham submitted new plans for the homes to be built on Aldenham Reservoir, in Watford Road, Elstree, in July after withdrawing a previous application. At the planning meeting tonight, Hertsmere Borough Council refused the application – meaning Aldenham Reservoir is saved from development. The future of the Aldenham Reservoir is concerning residents and the MP for Hertsmere as the new developing company are planning to submit a proposal. After reading the supporting documents for the planning application I have dug a little deeper. Safari Investments Limited, company number 01456432 with registered office in Bath BA1 2HN has been dissolved. Safari Investments & Properties Limited, company number 02024093 with registered office in Finchley Road, London has been dissolved. This leaves just 2 other listings: Sabmiller Safari Investments Limited, based in Jersey and Safari Investments RSA Limited, based in Pretoria, South Africa. In the documents submitted with the planning application the company name is quite clearly shown as “Safari Investments Limited”. Is there a third company out there somewhere? It certainly does not show up anywhere.